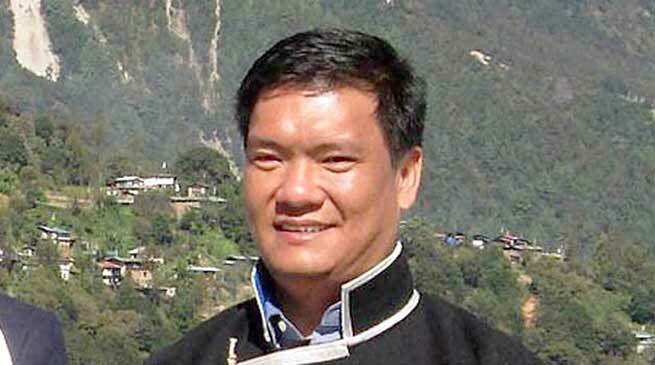 Chief Minister Pema Khandu has conveyed his greetings and best wishes on occasion 32nd Statehood Day of Arunachal Pradesh and expressed optimism that with another milestone achieved the state would raise to fulfil the vision of a new Arunachal. Beckoning citizens to join the national movement to end corruption to ensure transparent and accountable governance, Khandu assured the people of major economic activities in all potential sectors to open up employment avenues for the youths in the coming years. “Today each one of us has a strong desire to progress, develop and live in a transformed Arunachal. It is our duty to provide an environment to enable this transformation. This is and will be the sincere effort of our Government,” he said in a message on eve of the occasion. While highlighting achievements of the government till date like 100 percent ODF (Gramin) status, Information Technology initiatives, making functional the two divisional commissioner offices of East and West, creation of Kamle district, governance reforms, infrastructure development, boost in connectivity, etc, the Chief Minister said there’s lot more to be done and sought people’s active participation. “Our Government organised a participatory policy making conclave “Dream Change Arunachal 2027”, the first such exercise which saw participation of over 1000 delegates from all walks of life. Scholars, academicians, progressive farmers deliberating on an agenda of change for Arunachal Pradesh have come up with a comprehensive blueprint of development for the state. Likewise, we have opened the gates for people’s suggestions for finalising the Budget proposal for 2018-19,” he informed. Khandu reiterated that a peaceful State is one of the most important criteria for uninterrupted development. “On this historic occasion, I appeal for peace, bonhomie and harmony to fulfil our commitment of taking our state on an unprecedented growth trajectory,” he added.